Nationally renowned artist Pamela Patrick White has donated one of her exquisite works of art for this year’s CLA Fund Raising auction. 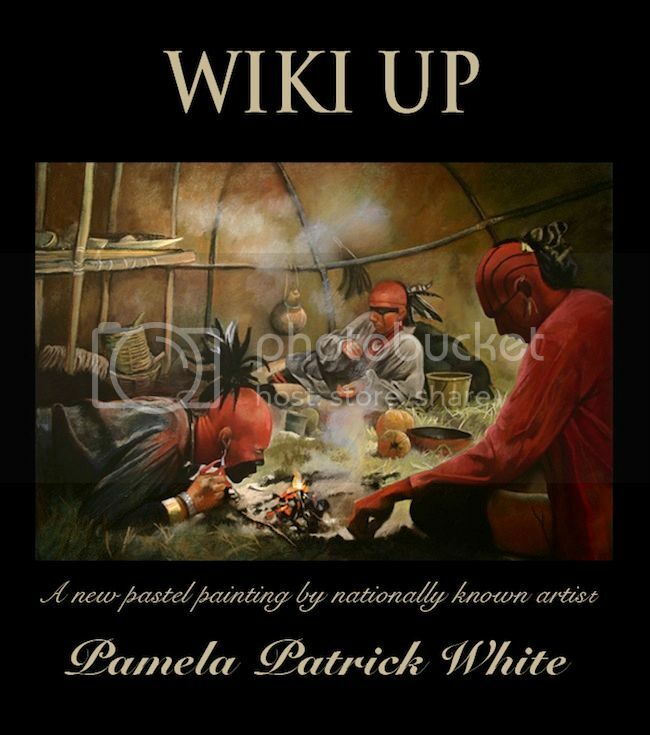 “Wiki Up” shows a group of Woodland Indians lounging around the fire in the interior of a wiki-up, hence the title for the painting. The original pastel is framed in a handsome hardwood frame and measures a generous 34” x 29”. This wonderful work of art by one of America’s foremost historical painters will make a beautiful addition to anyone’s home or office. Pamela Patrick White has painted professionally in the field of historic art and illustration since 1983. After seventeen years of illustrating books for most major publishers in the USA, she was ready to change her focus into historic painting. A hobby in reenacting and involvement with historic sites proved to be helpful as Pamela researched 18th Century history for paintings of George Washington, Thomas Jefferson and much of Colonial America. Current work can be seen on the History and Discovery Channels and many book and magazine covers. Pamela’s original paintings are in the collection of Mount Vernon, the Citadel, Williamsburg and many banks, corporations and private collections. She is currently working on a series of Napoleonic paintings of the Battle of Waterloo for the Hougomont Preservation in Belgium.